Consumers International (CI) is the world federation of consumer groups that, working together with its members, serves as the only independent and authoritative global voice for consumers. CI is founded in 1960 and since then it is fighting for a fair, safe and sustainable future for all consumers in a global marketplace increasingly dominated by international corporations. CI helps, protects and empower consumers everywhere with the help of over 240 member organisations in 120 countries. CI is a not-for-profit company limited by guarantee and registered in the UK (company no. 4337865). To know who are the members please click.CI is also a registered UK charity (no. 1122155). Bureau of Indian Standards provides licence under the scheme of Ecomark. Please find the list of licencees. The world of green gadgetry covers everything from hydrogen powered cars, solar powered gadgets, those containing recyclable plastic to alarm clock radios with wind up crank handles and even mobile phones with green credentials, demonstrating how manufacturers are innovating with environmental concerns in mind. The eco-friendly gadgets blog brings the reviews of products and companies who are developing the growing number of these eco-conscious alternatives. Production of the electronic devices cause a lot of pollution, consumption of a lot of natural resources; and when the devices are ready to use, they consume energy. They can leave toxic foot-marks and can be toxic themselves as well. Green technology, also known as environmentally friendly technology uses science to safeguard the natural environment and resources as well. Greenpeace released Guide to Greener Electronics. This report shows several leading electronics brands and environment-friendliness of their products. The Guide evaluates leading consumer electronics companies based on their commitment and progress in three environmental criteria: Energy Use, Resource Consumption, and Chemical Elimination. Canada based Grand & Toy a leading provider of workplace products and solutions serving businesses. It has launched a programme to help Canadian businesses reduce their waste, energy consumption and chemical use by purchasing environmentally sustainable products. It assigns “shades of green” to qualifying products in the Grand & Toy catalogue. Products are rated green, light green, or dark green, depending on their environmental benefits relative to other products in their category. Choosing the most efficient models of electronic products can substantially reduce home energy costs which save your pocket and the environment. Selection of right products have an impact on nation too, in lowering energy bills by several billion cash per year while preventing the release of millions of tons of carbon dioxide, the main pollutant responsible for climate change, from the power plants that run these devices. To help you choose the right gifts for your family and friends, the Natural Resources Defense Council (NRDC) launched a “2015 Green Electronics Holiday Guide.” It also guided what to do with the old stuff. Testing of any consumer product, raw materials, and parts is a necessary requirement in providing total quality assurance to clients and ensuring the overall safety of end consumers. A list of recognized and accredited laboratories are listed here. Green Patent Blog is dedicated to discussion and analysis of intellectual property issues in clean technology and renewable energy. It covers lawsuits filed in the name of “Green Patent.” Green patent complaints are in the areas of hybrid electric vehicles, ethanol production, LEDs, water treatment, exhaust treatment catalysts and many more. Eric Lane is the founder and author of Green Patent Blog - an award-winning website. His book, Clean Tech Intellectual Property: Eco-Marks, Green Patents, and Green Innovation, published by Oxford University Press, is one of the first comprehensive resource on issues at the intersection of IP and green technologies. Mr. Lane is an Adjunct Professor at Thomas Jefferson School of Law and Of Counsel at McKenna Long & Aldridge in San Diego, where he is part of the Climate, Energy & Sustainability practice group and the Intellectual Property & Technology practice group. The Central Pollution Control Board enlisted 17 categories of highly polluting industries and grossly polluting industries discharging their effluents into the rivers and lakes. Know more about these industries. There are different regulatory bodies which monitor and protect the environment and formulate policies and regulations. Environmental laboratory services test for a range of analytical parameters to provide the data-environmental parameters-needed to meet Environmental Regulatory Requirements or Assess the impact of industrial activities. of these companies and publish reports about their environmentally friendly business practices. Consumers are also concerned about the environmental impacts of the products they buy. 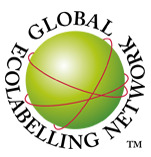 It will help consumers to identify environmentally-friendly companies who manufacture eco-products. Major tech companies are working to power the Internet with renewable energy. According to the Greenpeace report, “Clicking clean: How companies are creating the green Internet” some of the Internet’s biggest names are making impressive strides to reduce the carbon footprint of the cloud. For this spotlight of 19 cloud-computing corporations — both household names and lesser-known brands — Greenpeace considered more than 300 data centers. The report describes the mix of energy sources — including renewables, natural gas, coal and nuclear — used by each company. Greenpeace launched its second report on the sustainability credentials of the data centre and cloud industry.“Clicking Clean: Who is winning the race to build a green internet?” suggests that the IT sector consumes 7% of global electricity, with an anticipated threefold increase by 2020. “Which pesticides are banned?” This question is often asked by people. There are still hundreds of pesticides in use for which there are serious, documented concerns for human health. This list will help to know about pesticides banned for manufacture, import and formulations. A pesticide is any substance used to kill, repel, or control certain forms of plant or animal life that are considered to be pests. Algaecides to kill and/or slowing the growth of algae. Antimicrobials to control germs and microbes such as bacteria and viruses. Disinfectants to control germs and microbes such as bacteria and viruses. Fungicides to control fungal problems like molds, mildew, and rust. Herbicides to kill or inhibit the growth of unwanted plants, also known as weeds. Insect Growth Regulators to disrupt the growth and reproduction of insects. Rodenticides to kills rodents like mice, rats, and gophers. Wood Preservatives to make wood resistant to insects, fungus and other pests. There are significant Public Health Problems that are caused by pesticides. Pesticides may cause acute and delayed health effects in people who are exposed. There is substantial evidence of impact of pesticides on health and its use raises a number of environmental concerns. So pesticides must be approved for sale and use by a government agency. There are many pesticides used in one country are banned in other countries. “Which pesticides are banned?” This question is often asked by people in developing countries, ranging from companies exporting food produce, to government policy-makers, NGOs and journalists. A “banned” pesticide is defined as a pesticide for which all registered uses have been prohibited by final government action or for which all requests for registration or equivalent action for all uses have, for health or environmental reasons, not been granted. A “severely restricted” pesticide is defined as a pesticide for which virtually all registered uses have been prohibited by final government regulatory action, but for which certain specific registered use or uses remain authorized.